1. Working voltage DC: 8-120V. 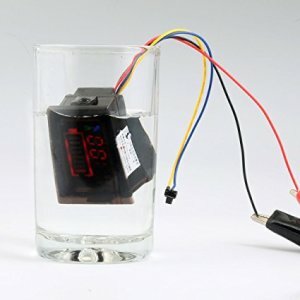 The wide voltage does not require a converter and is directly connected to the battery. 2, low power consumption: the self-consumption level is often <12mA, about 0.2mA when the screen is off. 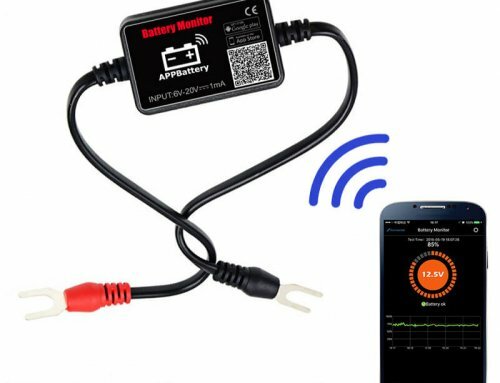 3, voltage, current, the percentage of electricity, respectively, accuracy of 1%; can measure current in both directions, with charging and alarm indication! Power off with memory! 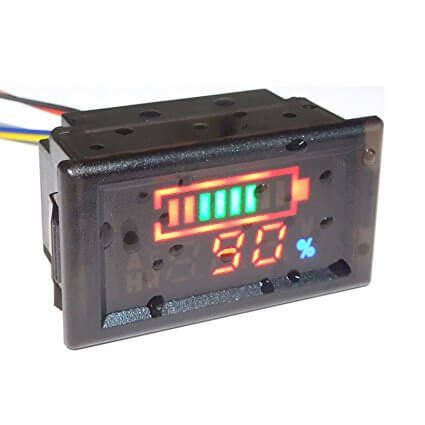 4, coulomb meter high-speed sampling current integration method to calculate the real power, can display AH, more accurate than the general voltage estimation, suitable for any battery pack. 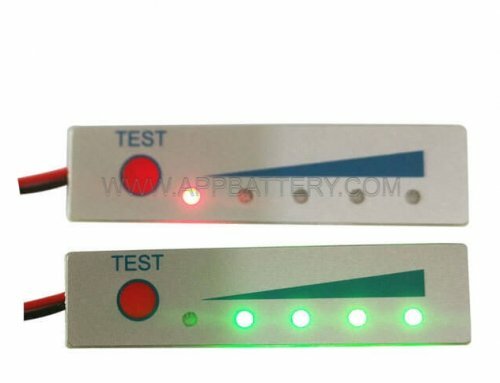 Especially for the lithium iron phosphate battery, the effect is very obvious. 5, the screen can automatically sleep. 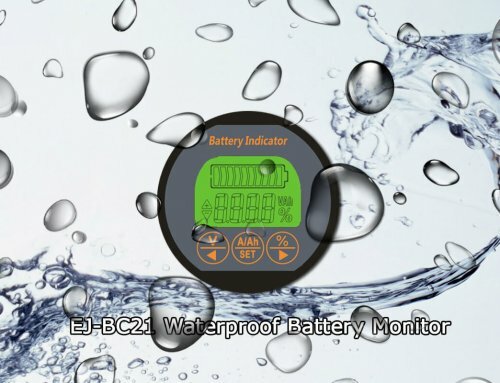 When the button or current reaches a certain value, the screen will automatically light up and the current wake-up sensitivity will be adjustable. 6. 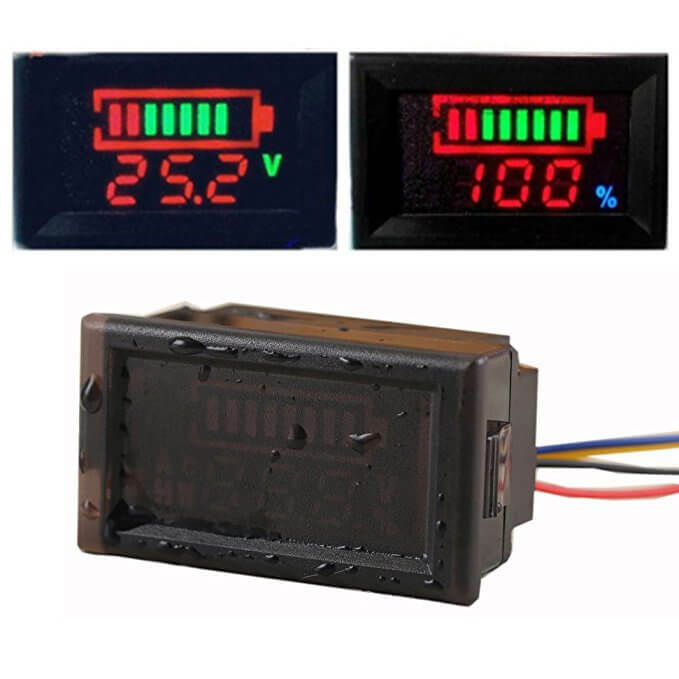 The following parameters can be set: battery rated capacity, battery current capacity percentage, power alarm value, current zero adjustments, current correction, voltage correction, display mode, backlight mode, current range, current wake-up sensitivity. Meet all kinds of needs, power off with memory. 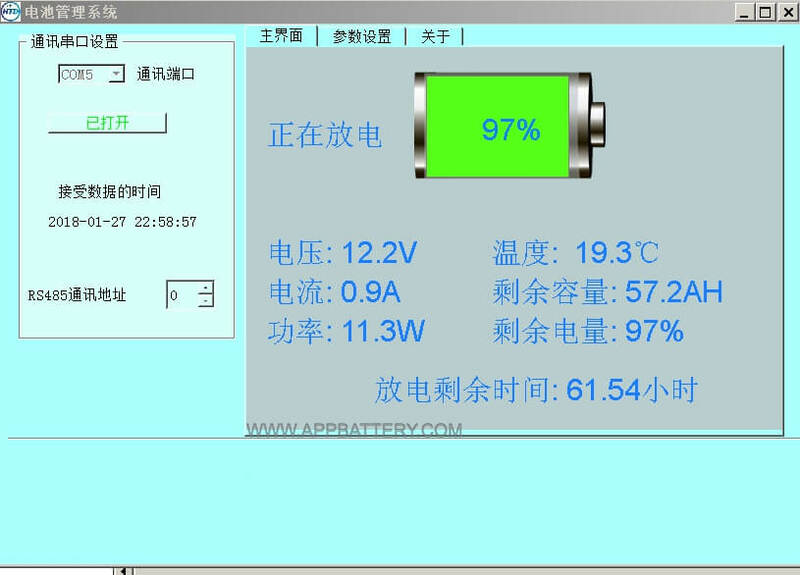 7, automatic learning capacity function, deep charge, and discharge can learn the real capacity AH. 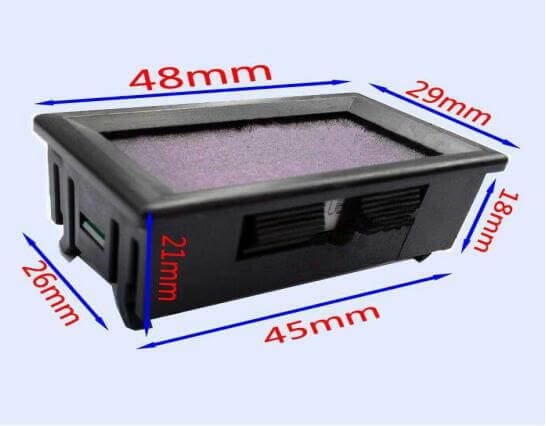 8, working temperature -30—80 degrees, LED display, high and low-temperature resistance, drop resistance, light fast! Anti-interference! 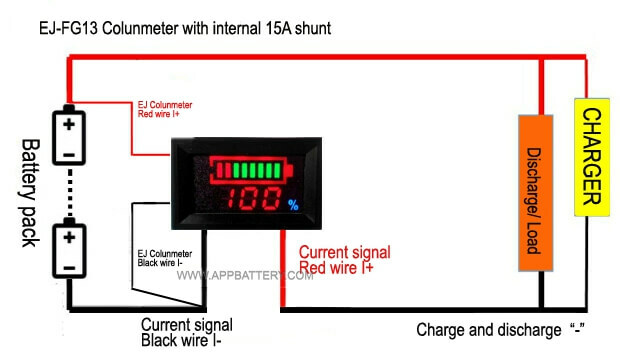 Connect the shunt: Cut the total negative line of the battery. String the shunt into the negative pole. Pay attention to the direction. 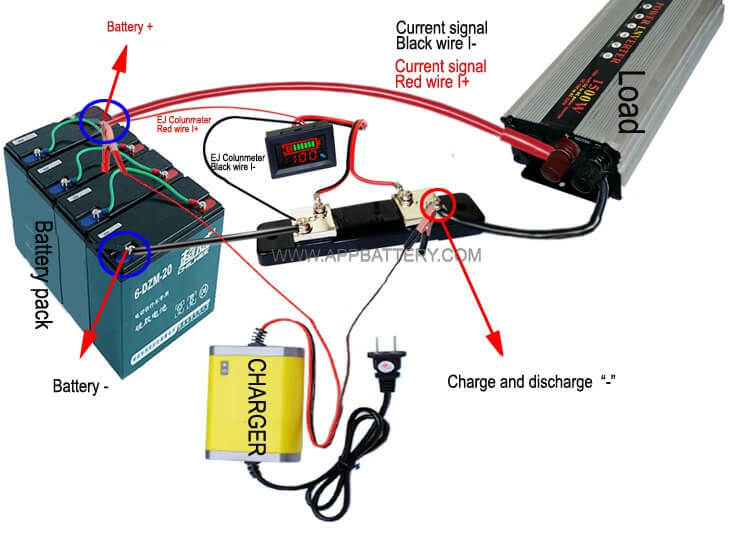 The large screw on the side of the thick black line of the current signal is connected to the negative pole of the battery. 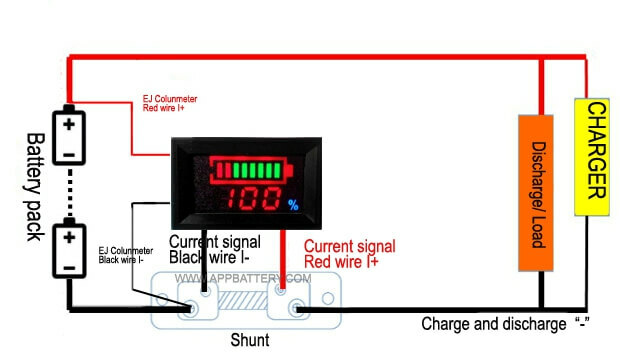 The battery discharge and charging current must pass through the shunt. 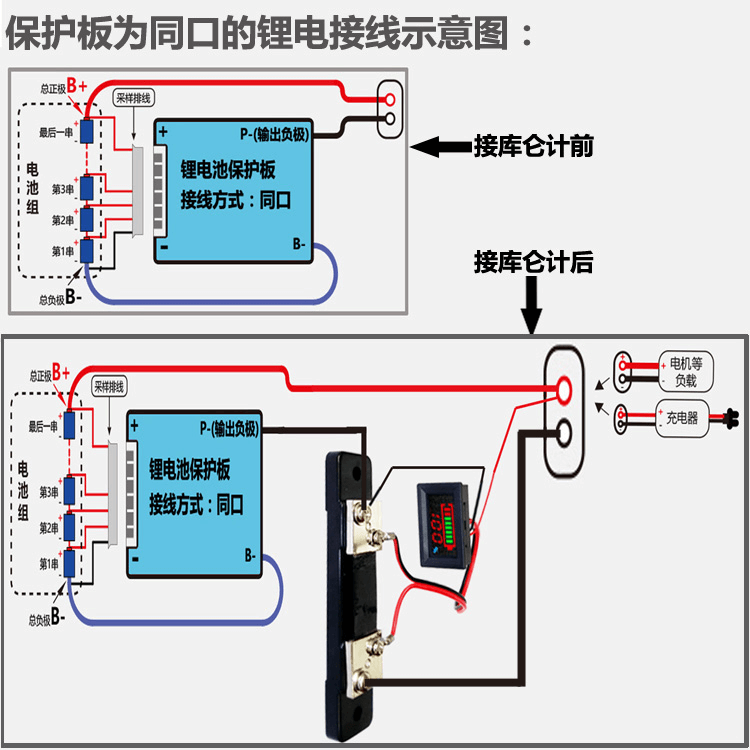 When charging and discharging, the coulomb meter cannot be powered off. 2. 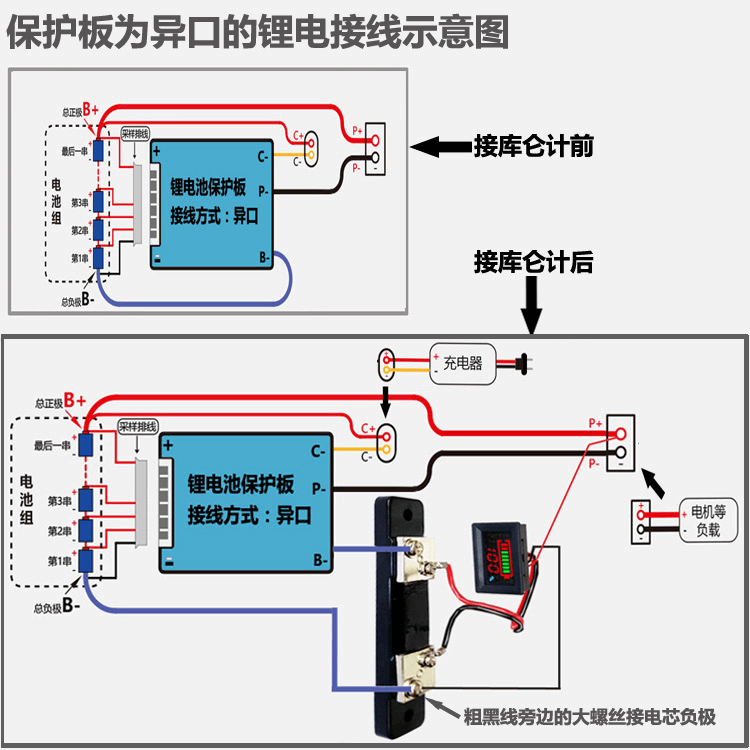 If the lithium battery is the same port protection board, the shunt can be connected to the battery protection board output negative pole. 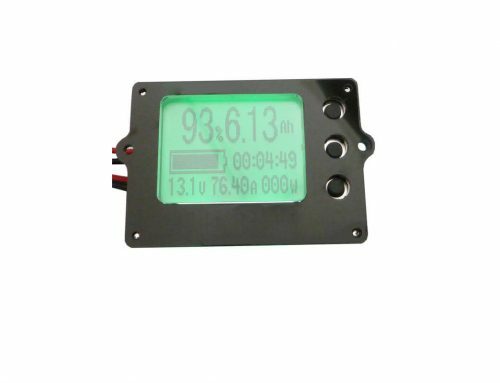 This coulomb meter can be optionally added with communication functions. 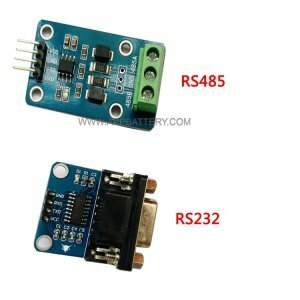 Can add TTL232, RS485, RS232, RS485 and RS232 are TTL232 conversions, so RS485 and RS232 will have one more adapter board. 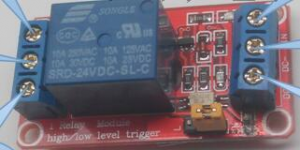 The TTL232 will have the TX RX line identified. 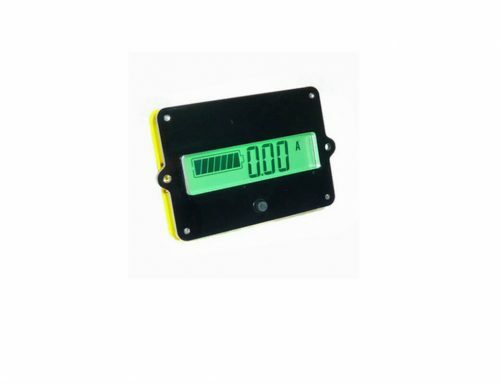 The coulomb counter can send data periodically or accept commands to reply data.